Video of aerial yoga choreography of the Saturday morning class. MORE WORKSHOPS COMING AGAIN SOON! 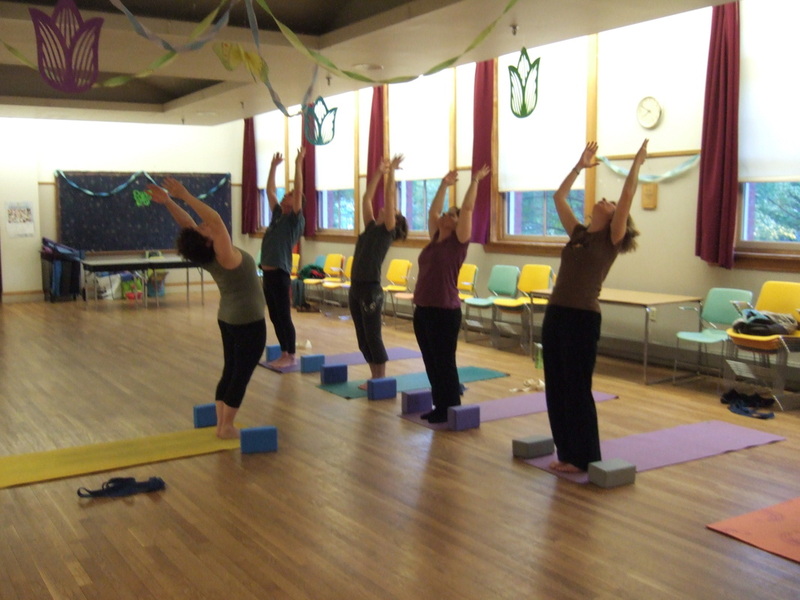 Class Description: Aerial Yoga uses a fabric hammock or sling with traditional yoga poses. The fabric can be used while standing on the floor to help students with deeper stretches and balances. You can also stand in the fabric sling, lie in it or have fun with inversions. You can also spread the fabric like a hammock and enjoy a wonderfully soothing relaxation at the end of class, integrating all the benefits of yoga. Yoga means union of mind, body and spirit. Aerial Yoga helps achieve strength, flexibility and calmness of the mind and spirit in a fun and playful way. Wear comfortable loose clothing. NO JEWELRY OR ZIPPERS THAT COULD SNAG AND TEAR THE FABRIC PLEASE! Bring a yoga mat or rent one at the studio. Treat yourself (and maybe a friend or partner) to an experience that will deepen your practice and understanding of yoga! Enjoy, explore, and surrender to the playfulness of partner yoga. Both partners give support and receive benefits while creating a new yoga pose together. You will have fun while using each other’s skeletal structure for support and better alignment. Come as a couple, bring a friend or sign up by yourself and we will pair you with another person. Bring a yoga mat. ready for a new week. No prior yoga experience is necessary. blocks (if you have them). exercises, the class includes modified yoga poses using a chair. 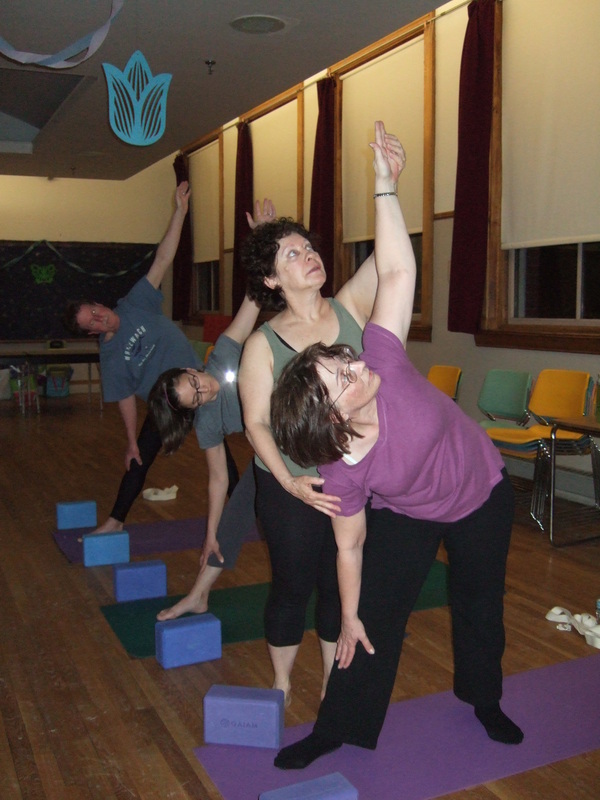 yoga blocks, if you have them.